Reminiscent of a northern Italian espresso, this complex blend was specially formulated to produce a velvety mouth-feel. It is a rich full-bodied blend with a sweet aftertaste and ... a magnificent crema. You will love this espresso - it is truly bellissimo! Don Giovanni's Espresso Bellissimo won International Gold at Monde Selection.To learn more about espresso visit our information page. 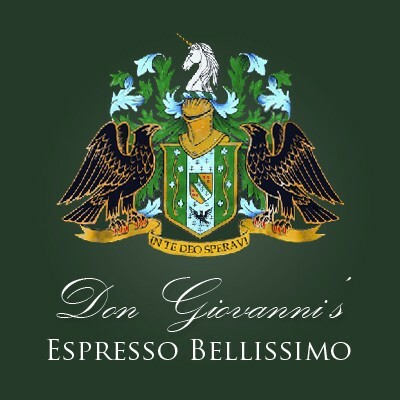 Don Giovanni's Espresso Bellissimo won International Gold at Monde Selection. To learn more about espresso visit our information page.